With freshest of winter produce flooding the shelves of local vegetable wala’s, I always get tempted to buy a lot of it. Turnips, carrots, cauliflower, peas and many more winter vegetables goes into the many stews, soups and curries that are devoured piping hot during the cold winter days. 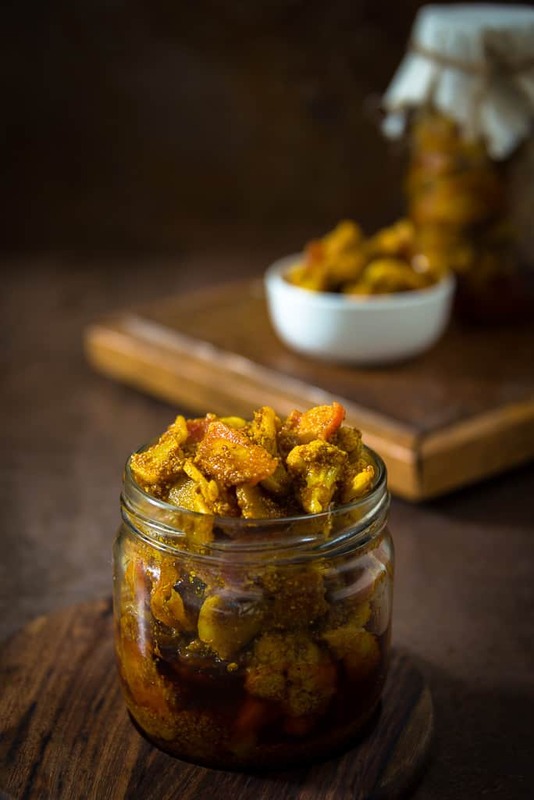 I also remember Mom making this gajar, gobhi aur shalgam ka achar every winter and the crispy bite into the flesh of the vegetables wrapped in a tangy masala kept us hogging in to many more pieces even after we have finished the food. After I got married, my share of this pickle made by mom was duly delivered to me before the onset of winters and life was good. This time however, my parents are visiting us and I insisted to learn her recipe and assisted her in making the achar. 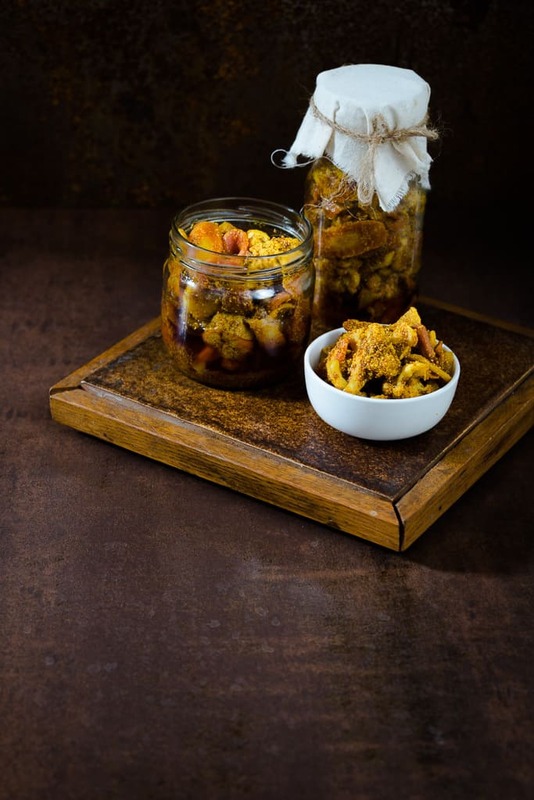 It’s a very simple recipe and all you have to take care is of the jar in which you store the pickle. It should be very clean to avoid the pickle from getting spoiled soon. 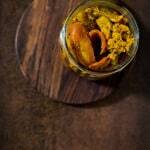 Here is the recipe to make this delicious Gajar, Gobhi aur Shalgam Ka Achar. When it comes to a rolling boil, add the vegetables. Drain the water and run the vegetables under cold water. Spread the vegetables on a cotton cloth and let them dry for 3-4 hours. 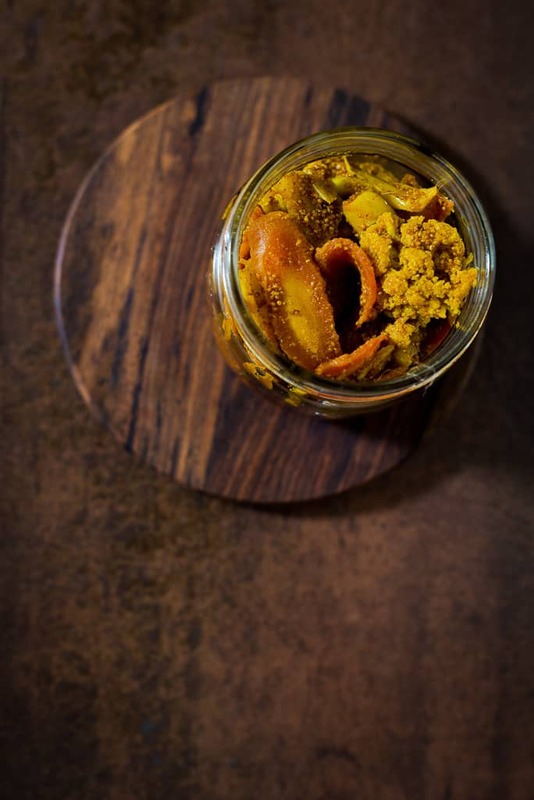 Mix ground mustard seeds, chili powder, turmeric powder, asafoetida, salt, garlic and vegetables and fill the mixture in a clean, sterilized jar. Heat mustard oil in a pan and cook till it starts to fume. Remove from heat once it starts to fume. Add the cooled mustard oil in the jar. Put the jar in sun for 2 days. Shake the jar twice a day. The pickle is ready to eat in 2 days. It can be stored in a cool and dry place for up to 3-4 months. This is the only recipe I found which has no Jaggery in it. Which is what I was looking for. I also noticed that one of the bottle is wrapped in muslin(photo) but in the instructions there is no mention of that. If it is need, then at what stage do we wrap muslin cloth. Also appreciate any steps/tips to strategize jars. Hello Sahana, You actually don’t have to wrap the bottle with the muslin cloth. Just put the lid on and keep the jar in the sun and shake it well once a day. To sterilise the jar, clean it nicely with soap water. Heat water in a big pot and once it comes to boil, add the jar in it and let it boil for 3-4 minutes. i followed the same recipe.. but somehow i found my glass jar cracked the fifth day without any mishandling.this happened twice..can u suggest a reason why this is happening and solution?? Oh. Did you close the lid tightly. Because when the pickle ferment, some gases are released. If the jar is closed too tightly, it may crack.